Saturday (starting March 1, 2013) 9:00 a.m. – 3:00 p.m.
GSNI’s council stores are the best place to pick up Girl Scout supplies. Stop by and visit! GSNI Will Host a Kaleidoscope of Sound! GSNI will host a Kaleidoscope of Sound event at the Sanfilippo Estate “Place de la Musique” in Barrington Hills, Illinois, on Saturday, November 10. The event will include a tour of museum collections from 4–5:30 p.m., followed by a concert on the world’s largest restored theater pipe organ from 5:30–7 p.m. The Sanfilippo “Place de la Musique” is known worldwide for its magnificent collections of beautifully restored antique music machines, phonographs, arcade and gambling machines, chandeliers, art glass, the world’s largest restored theatre pipe organ and other functional mechanical antiques, displayed within a breathtaking French Second Empire setting. The museum is housed in a private 55,000 square foot home. Tickets are $50 per person. To purchase tickets, visit www.girlscoutsni.org or contact Jennifer Fair Margraf at 630-897-1565, Ext. 7210. Event address and directions will be provided with ticket purchase. Girls Needed to Help Save Water Supply! GSNI is teaming up with Sage YMCA of Metro Chicago to help girls learn about Earth’s water cycle through “Green Tea for a Blue Planet” and other water conservationist activities. The program will take place on Fridays, November 2, 9, 16, 30, and Fridays, December 7, 14, 21, from 5–6 p.m. at the Sage YMCA of Metro Chicago, 701 Manor Rd., in Crystal Lake. This workshop will help girls understand how water plays a vital part in the environment and teach them how to advocate for water saving. Girls will also use their findings to inspire others to protect Earth’s water resource. Participants will use the WOW! Wonders of Water book from the Girl Scout Journey series, It’s Your Planet-Love It! The program is open to all girls in grades 2–3. Program fee is $40 for YMCA members and $50 for non-members. This program is partially funded by the McHenry County Community Foundation. The funding and program fee provides Girl Scout membership, Journey book and supplies for all seven sessions. Financial assistance is available, if needed. Registration begins October 8 for YMCA members and October 15 for non-members. For more information, please contact Claudia Kirmse at 847-741-5521, Ext. 7133. Fall Product Program YouTube Video Contest! The Fall Product Program is not as well-known as the Girl Scout Cookie Program, but it is just as important to Girl Scouts. Both programs teach girls important skills and help them earn funds for troop activities. In fact, proceeds from the Fall Product Program help troops fund activities and service projects that begin long before the winter Girl Scout Cookie Program! GSNI wants to share this information with the community, so we’re hosting a Fall Product Program Video Contest! We’re asking girls to create a convincing, 1–3 minute video of “Why You Should Buy My Favorite Fall Product!” Entries can be creative, funny or artistic, but most of all they should convince the person watching to help their local Girl Scouts through participating in the Fall Product Program. Lastly, the community always loves hearing about Girl Scouts working hard toward their goals! How will you use your proceeds? How does community support contribute to that goal? If you have any questions, please contact Alex, GSNI’s Website and Internet Manager, at afranklin@girlscoutsni.org. Sometimes it can be very hard for girls to stand up for what they believe in or say what they really think when bullies are around. GSNI plans to empower girls with “Be a Friend, Not a Bully” on Saturday, October 27, from 9 a.m.–1 p.m., at McHenry County College, 8900 US Hwy 14 in Crystal Lake. The workshop will be facilitated by volunteers from the McHenry County College chapter of the American Association for Women in Community Colleges. The program is open to all girls in grades 2–3. Program fee is $10 per girl; $3 per adult and includes a No Bullying patch, pizza and a drink. There is an additional one-time $12 fee for non-Girl Scouts. This fee registers participants as Girl Scouts, allowing them to participate in this program, as well as many others. Registration deadline is October 10. To register, contact Brooke Radford-Knight at 847-741-5521, Ext. 7147 or bknight@girlscoutsni.org. GSNI Partners with NIU to Offer Engineering Workshops for Girls! GSNI and The College of Engineering and Engineering Technology at Northern Illinois University (NIU) are teaming up to offer 12 Saturday engineering workshops and summer camp for all girls in 6-8th grades! Girls will work in small groups to explore various engineering projects including building simple electrical circuits, bridge building, chemical engineering and lean simulation. The girls will be assisted by NIU female faculty, engineering undergraduates and high school mentors. Girls can apply for the program by completing an application form and submitting a copy of their last quarter’s report card and sealed letter of recommendation from a math, science or technology teacher. To receive an application, girls can visit http://www.girlscoutsni.org/stem.html. Applications must be received by Monday, September 24. NIU will notify applicants of acceptance the week of October 15. If accepted into this program, there is a program fee of $150 per registered Girl Scout or $162 for non-registered girls (includes the $12 GSUSA registration fee). The program fee includes all workshops, summer camp and optional bus transportation from a location to be determined to NIU Naperville Campus. For additional information about this exciting program and application form, please visit www.girlscoutsni.org! 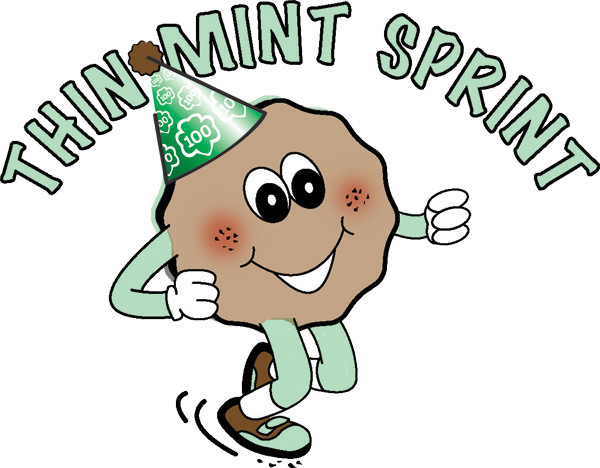 Free 100th Anniversary Kids’ Dash at 8th Annual Thin Mint Sprint! In honor of the 100th Anniversary of Girl Scouts, a FREE 100 yard kids’ dash for children 5 and under will be held at GSNI’s 8th annual Thin Mint Sprint, on Saturday, September 8, at Camp McCormick in Stillman Valley. The dash will take place after the 2-mile family fun walk/run. The Thin Mint Sprint consists of an 8K road race, 2-mile family fun walk/run and 4-mile Tough Cookie Trail Run, presented by BMO Harris Bank. For an additional challenge, participants can sign up to “Do the Double,” which includes both the 8K and trail run. The trail run begins at 7:30 a.m., with the 8K run and family fun walk/run beginning at 9 a.m. Directions and registration forms are available online at http://www.girlscoutsni.org/thinmintsprint.html. Registration is also available online at http://www.active.com/8k-race/stillman-valley-il/thin-mint-sprint-12-2012. The 8K and Tough Cookie Trail Run are $25 per person; $30 after August 15. The 8K road race, trail run, and “Do the Double” are 2012 Rockford Road Runners’ circuit races. The 8K takes place on the rolling country roads outside Camp McCormick. The trail run is a challenging course though Camp McCormick on dirt paths and loose gravel. “Do the Double” is $40 per person; $50 after August 15. The 2-mile family fun walk/run is $15 per person; $20 after August 15. This event is open to all ages with awards given to run participants 18 years of age and under. Part of the 2-mile walk/run will take place through a corn maze (weather permitting)! There is also a Girl Scout marathon fun patch for all participants who download and complete their running log at http://www.girlscoutsni.org/thinmintsprint.html. All proceeds from the Thin Mint Sprint go to support programs for our over 20,000 Girl Scouts in 16 local communities! Thin Mint Sprint sponsors include BMO Harris Bank, Mulford Dental, OSF Saint Anthony Medical Center and B103 Today’s Lite Rock. Anna Maria Chávez, CEO of GSUSA, shares some advice for girls and suggests ways you can support the girl in your life! Emissary Network Summer Casting Calls! 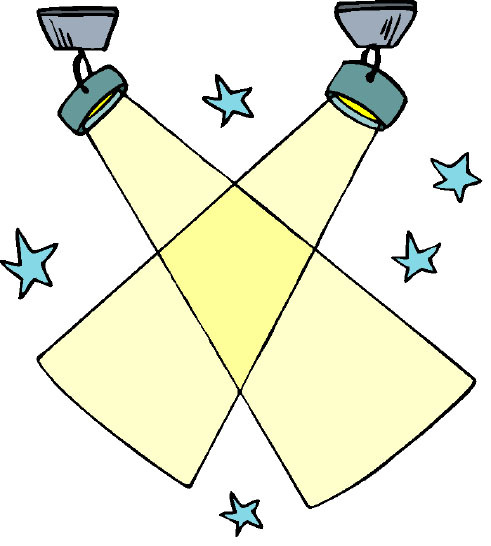 Does your Girl Scout love the spotlight? If so, consider attending a casting call in your area with your girl to learn about the Girl Scout Emissary Network! The Emissary Network consists of Girl Scout Daisies, Brownies, Juniors, Cadettes, Seniors and Ambassadors who are trained in public speaking and are on call for Girl Scout media and networking opportunities. All registered Girl Scouts who attend a casting call and complete an application are accepted and can attend workshops where they learn about public speaking, personal presentation and poise. Members of the Emissary Network are photographed for council publications, online publicity, newspapers or interviewed for television or radio opportunities. Girls also help at local events by interacting with community members. All girls are encouraged to participate in photo sessions and large scale community events! Summer casting calls will be Saturday, August 11, 1-3 p.m., at the Elgin Service Center, 12N124 Coombs Road, in Elgin, and Saturday, August 18, 1-3 p.m., Grace United Methodist Church, 3555 McFarland Road, in Rockford. Registration deadline is August 6 (Elgin) and August 13 (Rockford). Girls who attend casting calls will participate in a photo shoot and be interviewed and videotaped for future Girl Scout promotions! For more information, or to register via phone or e-mail, contact Ann-Marie Soderstrom, Emissary Network Coordinator, at 815-962-5591, Ext. 7172, or e-mail asoderstrom@girlscoutsni.org. Young Women of Distinction (YWD), the council-wide event to honor Girl Scouts who have earned the Girl Scout Gold Award and Girl Scout Scholarships, will be held Sunday, June 10, at Giovanni’s restaurant in Rockford. 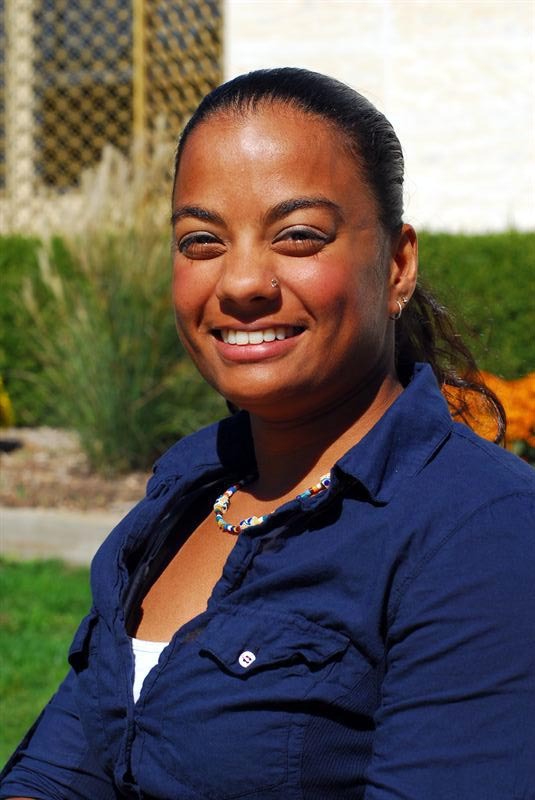 The 2012 YWD speaker is Anjali Forber-Pratt. Anjali was born in Calcutta, India, where she lived in an orphanage for two and a half months before being adopted by her loving family from Massachusetts. As an infant, she contracted an illness which left her paralyzed from the waist down. What some people might view as a tragedy, Anjali would come to view as a positive life-altering event. Introduced to the world of disabled sports at the age of 5, Anjali became an elite wheelchair racer and Paralympic ambassador. She is a World Champion in the 200mm and holds two Bronze Medals from the Paralympic Games in Beijing, China. She is currently preparing for the Paralympic Games in London 2012 while pursuing her doctorate at the University of Illinois. Her message is truly inspirational as she shares how through adversity she developed an innate drive and determination which she has used in every facet of her life. GSNI is working with select sponsors to help as many girls attend this event as possible! Girl members interested in attending will have the opportunity to enter a lottery for free attendance at YWD. While all age levels are encouraged to enter the lottery, Girl Scout Cadettes and Seniors will be given first priority. Please note that all girls attending must be accompanied by a paying adult. Girl Scout Gold Award recipients and scholarship recipients do not need to enter the lottery. Please indicate your interest via e-mail by May 11, 2012, to jhenn@girlscoutsni.org with “YWD Lottery” in the subject line. Within the body of the e-mail, include the troop number (or indicate if an individually registered member) and Girl Scouts’ names including grade level and accompanying adult names.